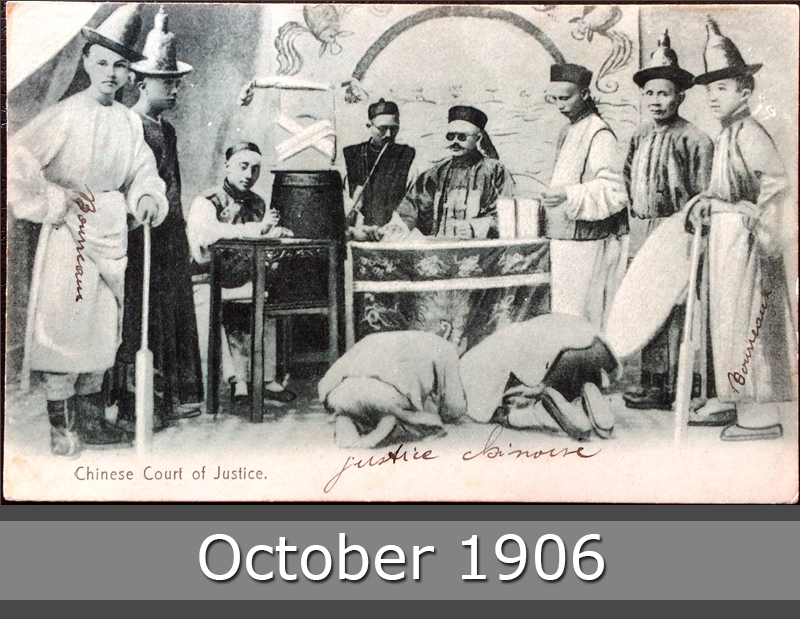 Such an interesting postcard from Canton, China, stamped with a french stamp in October 1906. You see an Chinese Court of Justice. 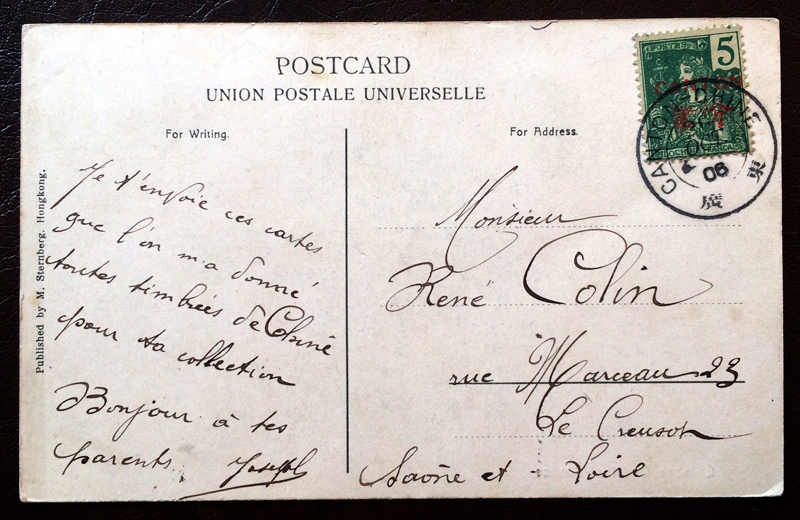 This postcard goes to France.